Doing another jdrama review on a drama I'm currently watching that is still airing in Japan this season. I'm on episode 4 and so far the drama is not bad. I quite like it. It has many of my favourite actors and actresses in it and I like that the story is kind of light and silly. Matsumoto Jun's character is so weird but yet so cute and funny to watch, lol. Snopsis: This is yet another one of those manga adaptation dramas (like almost 90% of jdramas, lol) that it is nothing much new. However, this drama is actually quite different in a way. 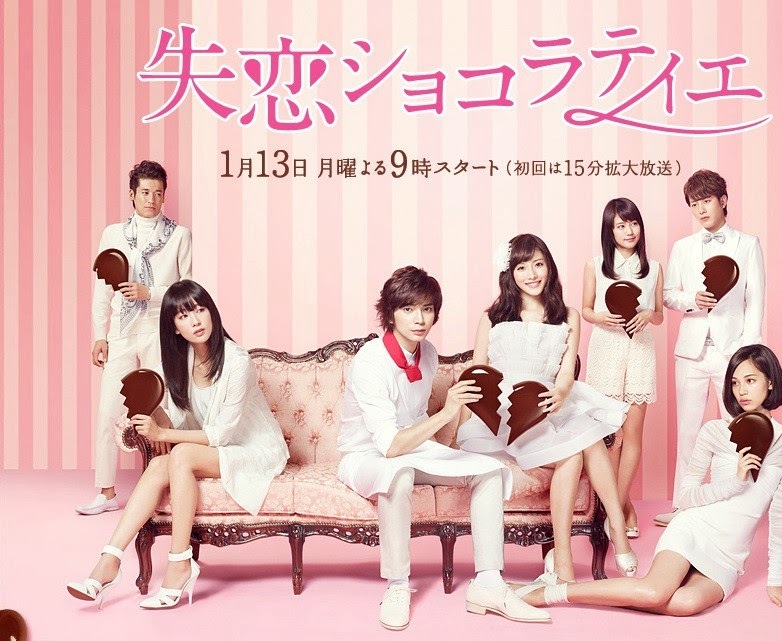 The drama title "Shitsuren Chocolatier" 失恋ショコラティエ actually translate to "Heartbroken Chocolatier" in English. 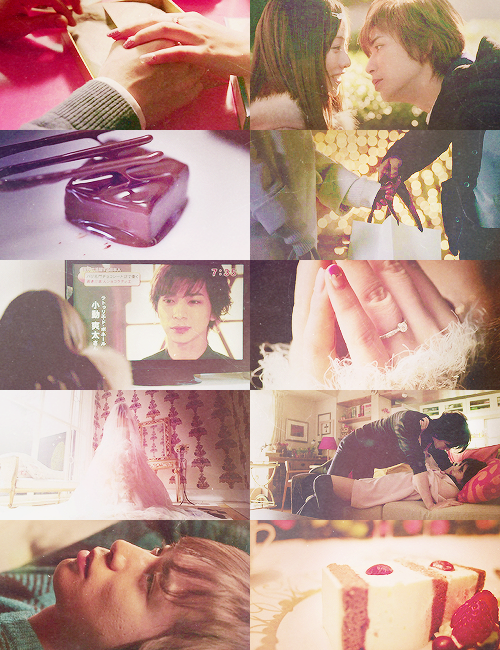 The story revolves around a guy named Koyurugi Sota who had a crush on his senior in high school, Takahashi Saeko. Saeko is quite the popular girl in school with her pretty and cute appearance where she has a reputation of having dated many guys and can pretty much get any guy she wants to date. Saeko also happens to have a strong love for chocolates. Sota's father actually owns a chocolate shop and Sota has been making chocolates and helping out with his father's shop ever since he was little. Sota got rejected from Saeko after attempting to make her a box of chocolates before Valentine's Day in hopes that it would touch her heart. However, Saeko refuses to accept the chocolates he made for her. Sota was heartbroken and decided to leave Japan and goes to Paris to study making chocolates to become a chocolatier at a famous chocolate shop in France. Sota later returned to Japan where he was given the name "Chocolate Prince" after his success in studying at France. 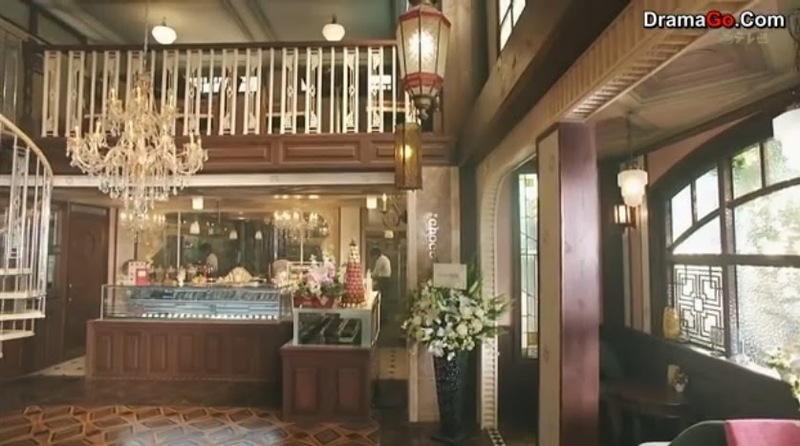 He opened a chocolate shop and he dreams of creating the perfect chocolate to present to Saeko that it will make her fall madly in love with him. However, when Sota returned to Japan to meet up with Saeko again only to find out that she is soon getting married to an older rich man. (Yes, she's a gold digger!) 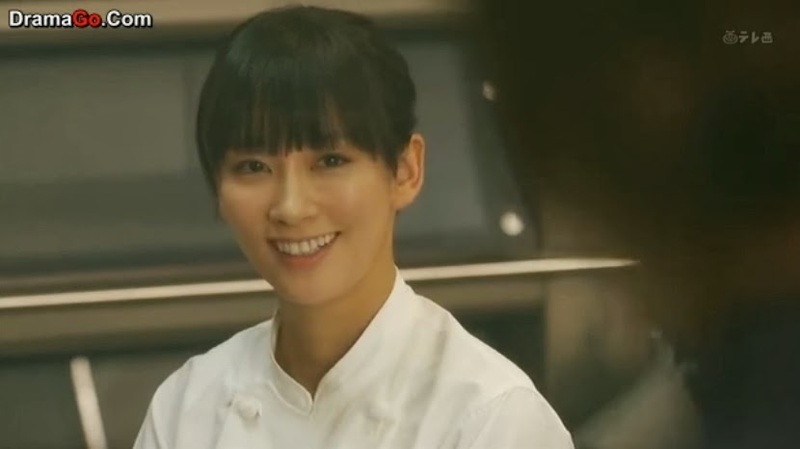 Saeko makes a request from Sota and asked if he could make her wedding cake and Sota agreed to make it even though his heart is pretty much shattered into pieces. Even though Saeko is married, she visits Sota at his chocolate shop frequently to buy chocolates and even asked him out on "dates". What's her motive behind all this? Did she know that Sota was in love with her all along and she's just toying with his emotions and leading him on? You'll have to watch the drama to find out! I like that the drama focuses on making chocolates so it's definitely a must see if you are also a chocolate lover because the chocolate making scenes will make you salivate. *drools* 乂❤‿❤乂 Better prepare napkins while you watch the drama, lol. I'm so glad that this drama features Mizukawa Asami in it who is one of my favourite Japanese actresses. It's a shame how she always seem to be stuck doing those "supporting roles" in dramas which is a waste as I think she is a pretty good actress with great acting skills. But then again, maybe it's better that she stay in supporting roles as she often overshadows the main female lead with her great acting. She may not be the best looking actress in terms of appearance, but there's a special charm about her that makes you want to keep watching her in dramas when she's on screen and you just can't quite move your eye away from her. Ishihara Satomi plays the female lead in this drama. She's quite the cutesy and pretty girl actress, I can see why she's been given so many lead roles. She's not a bad actress. She got extremely popular after starring in the drama Rich Man, Poor Woman with Oguri Shun, which I never really finished watching that drama despite it being the most popular drama with the highest ratings when it aired at the time. I never made it through the first episode of the drama, lol. Maybe I'll go back to finish it one day. XD I don't know, it just really didn't interest me all that much when I tried to watch it. =P Ishihara Satomi does a pretty good job at portraying her character in this drama. She's pretty air headed and is one of of those extremely annoying girls who appear to be overly cute and acts innocent all the time. I usually dislike watching characters like this but aside from her annoying cutesy behaviour in the drama, there is also a somewhat devil-ish, slutty bad girl side to her that makes her character rather interesting to watch. You never quite know what she's thinking and it makes you want to know more about her character. What jdramas are you currently watching this season?